pop the bubbly in Taha'a! 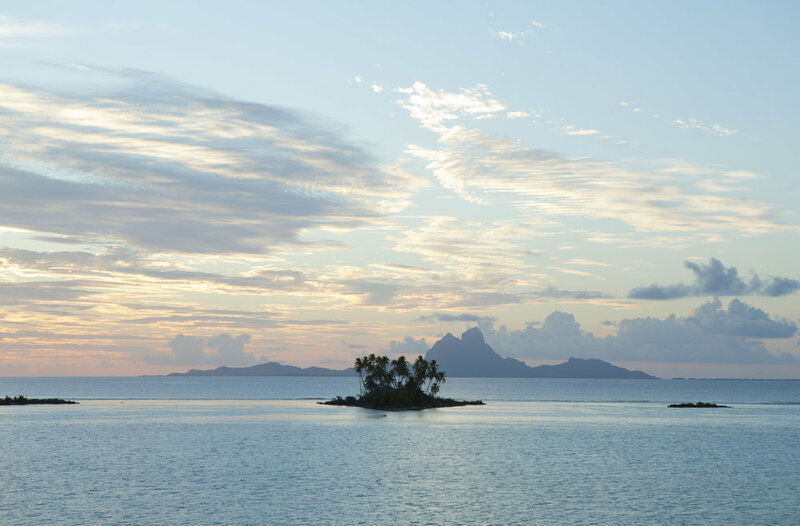 Bora Bora may be the French Polynesia’s most glamorous and popular sister, but one visit to Taha’a and you’ll be captivated by her timelessness. Indeed, stepping onto Taha’a feels like being propelled back in time to before the French Polynesia reigned as one of the most coveted honeymoon destinations in the world. Secluded and unspoiled, honeymooners and other travelers looking for a romantic respite—including celebs like Ashton Kutcher and Mila Kunis—choose Taha’a for her quiet tranquility far from the hustle and bustle of the rest of the world. Landscape of Taha’a: Lush mountains and valleys boast vanilla plantations and pearl farms, all while being surrounded by turquoise lagoons and undisturbed islets. Why choose Taha’a: Taha’a’s remoteness and peacefulness puts your love front and center—giving you plenty of time and space to focus on what matters most: each other. A world away from regular life, it's the ideal island for some serious rest and relaxation. What else makes Taha’a unique: The smell of vanilla wafts through the air on Taha’a, thanks to the vanilla farms that call the island home. Taha’a produces up to 80 percent of Tahitian vanilla, which makes the freshly made vanilla ice cream and other vanilla-infused desserts and drinks on the island dangerously delicious. Take a deep breath, inhale and enjoy the sweet scent of paradise! Recommended love nest: Le Taha’a Island Resort and Spa, which offers barefoot luxury at its finest. 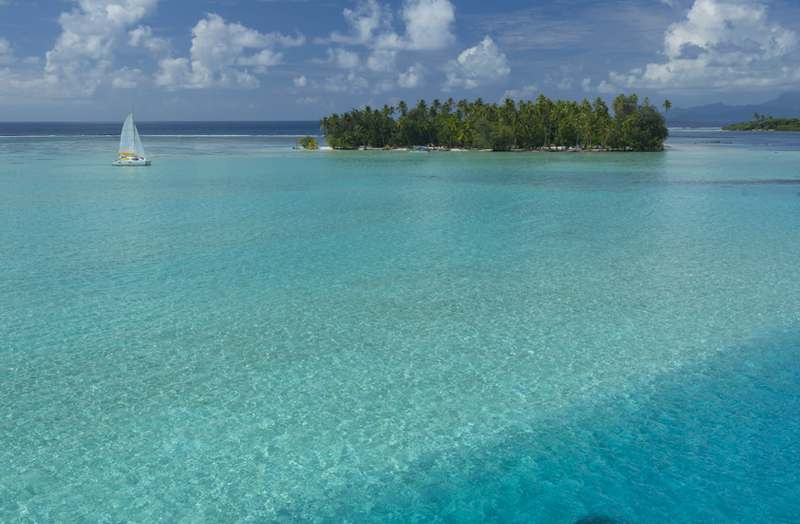 Travel tip: If you’re looking for a mix of honeymoon relaxation and adventure, combine your stay on tranquil Taha’a with a few additional days on Moorea, Bora Bora or another island. Before you keep scrolling, allow me to introduce myself and say ‘la ora na! That’s hello in Tahitian. See? You’re already another step closer to rocking your honeymoon on Taha'a—or any other island in the French Polynesia. 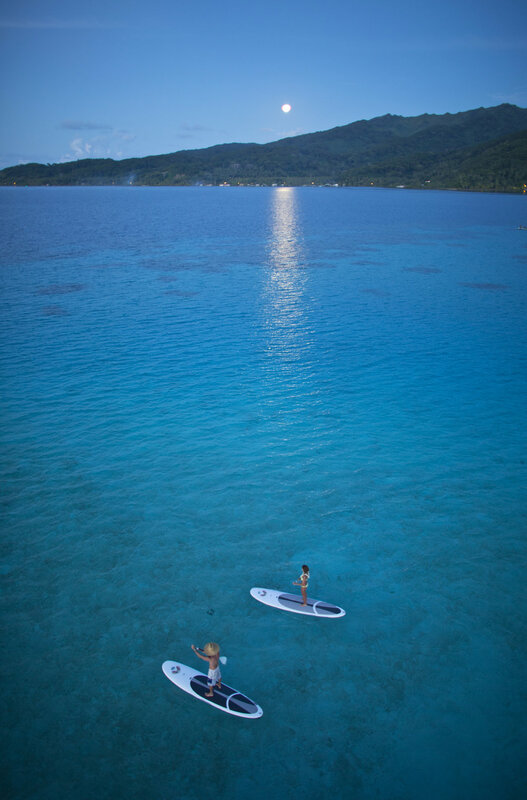 Since you've got the French Polynesia on your mind, scroll down to see more of Taha'a! Stay tuned for more details that'll hit your inbox this week to help you make your Tahitian island honeymoon dreams reality. In the meantime, I've got a bottle of bubbly on ice just waiting to celebrate YOU and the love of your life! I'd be over the moon happy if you'd stop by Instagram, pour me a glass and say hello—or 'la ora na! Cheers, love bug!